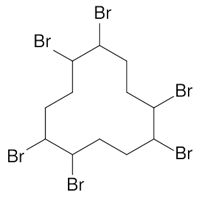 Status: Development of the hexabromocyclododecane (hbcd) (re)assessment has been discontinued. The IRIS assessment for this chemical has been suspended/discontinued and toxicity values will not be added to the IRIS database at this time. See the Assessment Status tab for more details. Assessment materials released for public comment during early steps of assessment development are available under the History tab. Note: The hexabromocyclododecane (hbcd) (re)assessment has been discontinued. A new/updated assessment will not be added to the IRIS database at this time.